Used for 2 rides, but were a little too wide for the frame they were in, the one that was on the rear has a little sidewall wear from rubbing on the frame. I’ll take the pedals please, 30 posted with cleats? PayPal? New stuff added, Thompson stem still for sale! They did, but I've got some lifeline ones that I've found that take Keo system cleats if your interested? 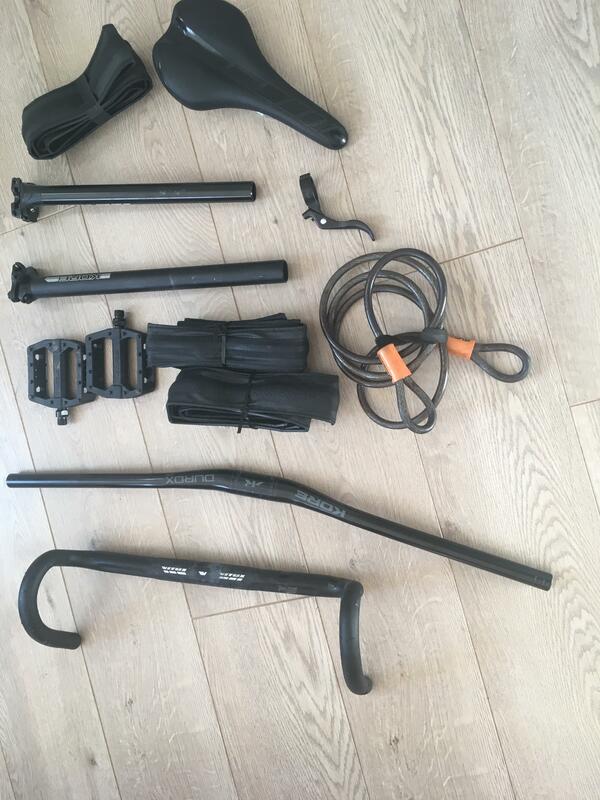 Interested in the vitus seat post if you'll post and it's in clean condition.. I'll actually take a look at the vitus saddle too! Yes I would be, pics? How much?